Bharat Petroleum Corp Ltd (BPCL) is seeking gasoline in a rare move, due to a scheduled, month-long shutdown of a crude unit and a continuous catalytic reformer (CCR), sources said on Wednesday. BPCL will shut a 100,000-barrel-per-day (bpd) crude unit for a month from 29 July and the CCR from 6 August at its 190,000-bpd Kochi refinery in Southern India, sources with knowledge of the plan said. 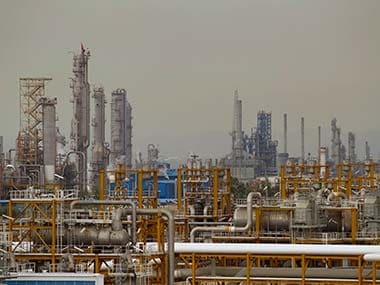 The state-owned refiner is seeking 70,000 tonnes of 91.5-octane gasoline with a maximum 0.004 percent sulphur content in two equal lots for 8-10 August and 20-22 August arrival at Kochi, a tender document showed. It has an option to buy an extra 35,000 tonnes for 3-7 September arrival at the same port through the same tender which closes on 29 June, with offers to stay valid until 3 July. BPCL's unusual move to seek petrol came at a time when India's top refiner Indian Oil Corp plans extensive maintenance work at its key refineries.